The Recovery Academy of Ireland are proud to present the 7th annual Recovery Walk TOGETHER WE HAVE A VOICE ! 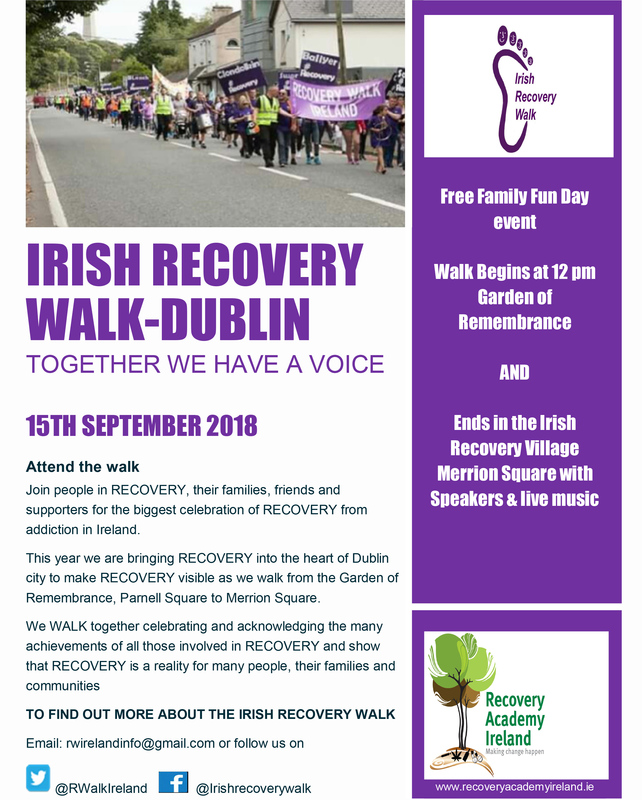 Join the 7th annual Irish Recovery Walk as we bring Recovery right into the heart of Dublin city. Celebrating & supporting people in recovery from addiction. Bring the kids and enjoy an afternoon of music, activities, speeches and family fun! Everyone is welcome, bring banners, drums, whistles and make some noise! Communities are welcome to bring banners showing their community’s support for recovery. You can print the poster attached and display it in your service. 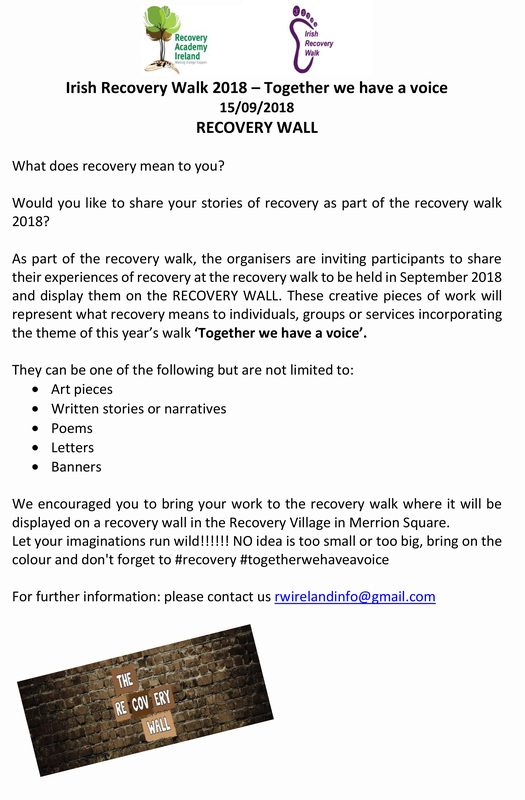 We will also have a Recovery Wall in Merrion Square on the day where we invite you to display your work on the theme of recovery.